If you have grandchildren, you obviously are a grandparent. As grandparents, there are things we do simply because we are grandparents – things we may not otherwise do. It would take a lot of time to list the ‘grandparent things’ we do, but on this long list there would most certainly be a few essential things. Over the next several posts, I’m going to share with you my Top Five Most Important Things on My Grandparent’s ‘To-Do List’. Today I begin with #5 . . .
May I suggest you put away your computer for a while? 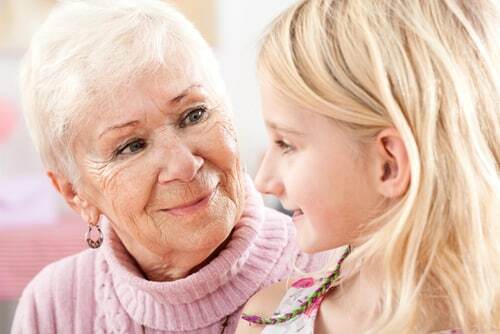 Now, look your grandchildren in the eyes—those warm, chocolate brown or sparkly blue eyes. Now they have your attention, so listen to whatever it is they want to tell you. They grow up all too fast. When they’re adults and think back to their childhood, don’t you want them to remember their grandparents paid attention to them, and cared about what was important to them? Back to listening. We all know the things children – especially young children – have to say may not be earth-shattering, but if it is important to them, it should be important to us. Do not let technological distractions steal your attention toward your grandchildren. At my house my grandsons know if I am working on my computer, they may come to me, smile and say; “A grandma’s lap is not a place for a computer. It is a place for a boy!” When they say this, I will absolutely put my computer aside and take time to snuggle my sweet grandsons, because my lap absolutely is a place for them… for as long as is possible. I want my grandsons to know I will listen to them—always! I know right now they want to tell me about the frog they caught outside or their favorite toy, but one day the things they want to talk about will be far more serious—and important. I want them to remember their grandma always listened to them, so when what they have to say is really important, they will talk to me. On my Grandparents To-Do List, “Listen to Them”, is absolutely on the list. What is on your To-Do list?